_This volume collects a range of early tales from Greco-Roman Antiquity down to the dawn of the Victorian Age that imagine encounters with creatures on or from the moon. These stories span the centuries and come from cultures as far afield as ancient Greece, medieval Japan, early modern Britain, and nineteenth-century America. 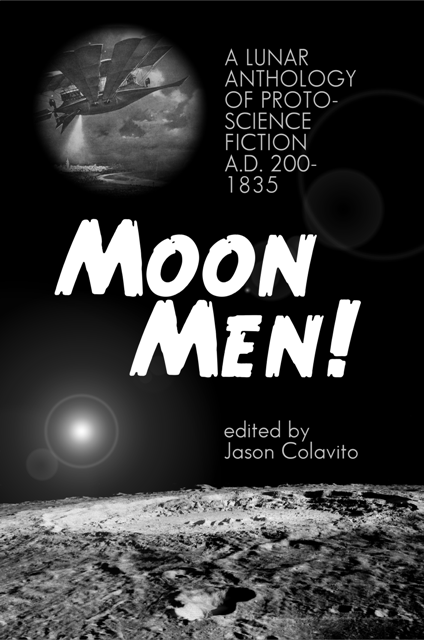 Each tells an interesting tale of not just of the adventure inherent in encountering moon creatures but also of the cares and concerns of the people who projected their hopes and fears onto the lunar orb. Just as real space exploration had to take small steps to our closest neighbor, the moon, before venturing outward into the vastness of space, so too did science fiction need to start close to home before venturing across the cosmos into the depths of the unknown. Read on, and start retracing that journey across the sands of time and through the depths of space.